Contact Arizona 811 to create a ticket at least two full working days before you plan to dig (excluding weekends and state holidays). 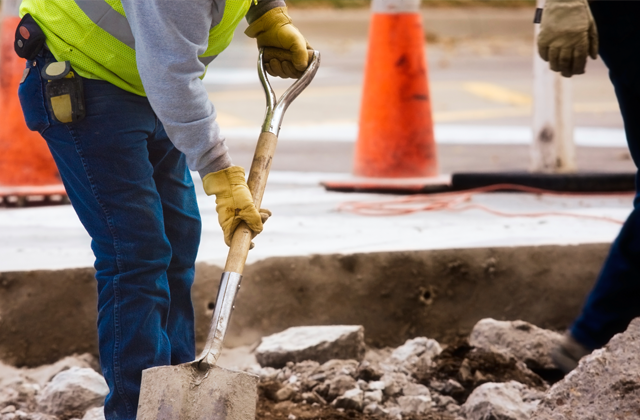 Always contact Arizona 811 before work begins so underground utilities are located and marked. Smart, safe digging is no accident. Facility owners and operators will send locators to the area you identified as your dig site. Locators will mark all underground utilities such as underground lines, pipes and cables or notify you if they do not have underground lines in conflict. Wait until you’ve received responses from all of the facilities listed on your ticket. When it is safe and legal to dig, work in compliance with Arizona law. Use hand tools only within two feet of marked facilities; support and protect exposed facilities; and keep marks visible and valid for the duration of your digging project. NOTE: If you submitted a ticket and didn’t receive marks or any other response from one or more facility owners/operators by the due date, or if you did not agree to or don’t understand a response received, be sure to process a follow-up transaction on your ticket. Learn more here. With E-Stake you can create and manage your tickets online 24/7/365. If you don’t have an E-Stake account click here to learn about free training and support! NEW! Contractors doing work at one residential location per ticket can use the Single Address Ticket option on E-Stake. No advance training and minimal mapping required! You must notify landlords by certified mail when digging at apartments or mobile home communities. Landlords have 10 working days to respond (excluding weekends and state holidays). Arizona 811 provides a pre-excavation form you can fill out and send to landlords. 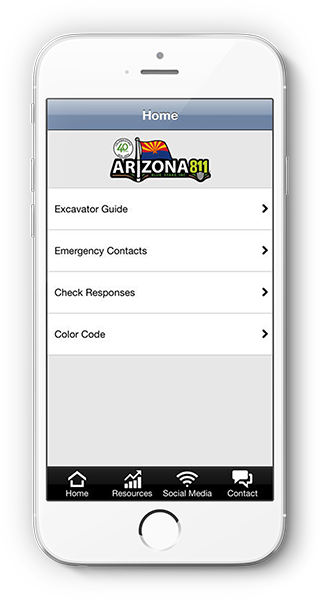 Manage your tickets anytime, anywhere with the free Arizona 811 App. Check ticket status, find tickets near the location where you’re standing, and even view tickets you or your company created. Plus get quick access to after-hours emergency contact information, upcoming training opportunities, view the excavator guide in English or Spanish, and more. Whether your project is large or small, you are required by Arizona law to have underground utilities marked before excavation begins. Excavation includes grading, trenching, digging, ditching, drilling, auguring, boring, tunneling, scraping, cable or pipe plowing and driving. Chances are, the job you’re about to begin includes at least one of these methods! Knowing the location of underground facilities protects you and others from life-threatening injuries and prevents damage to the utilities we rely on every day. Damage a utility and you could pay fines, costly repairs and reimbursements to businesses for their losses during service interruptions. On the flip side, damage is avoided 99% of the time when a utility-location request precedes any type of digging.